Box in archival museum board, covered in coated paper, pH neutral by Laurel Parker, Montreuil with an instruction booklet printed in offset on coated paper by Les Compagnons du Sagittaire, Rennes! 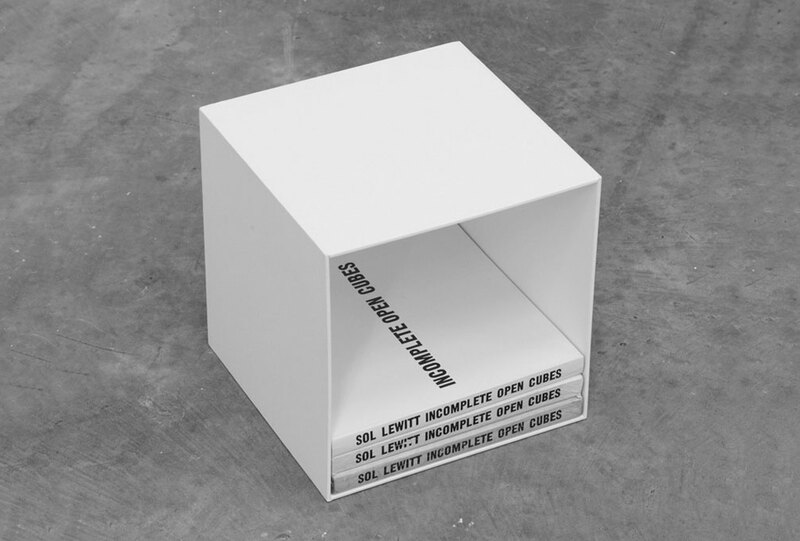 This box presented in the form of a numbered open edition can contain up to twelve copies of Sol LeWitt’s book Incomplete Open Cubes (The John Weber Gallery, New York, 1974). Its owner is invited to complete this edition by adding any copies of Sol LeWitt’s book that he may have collected.